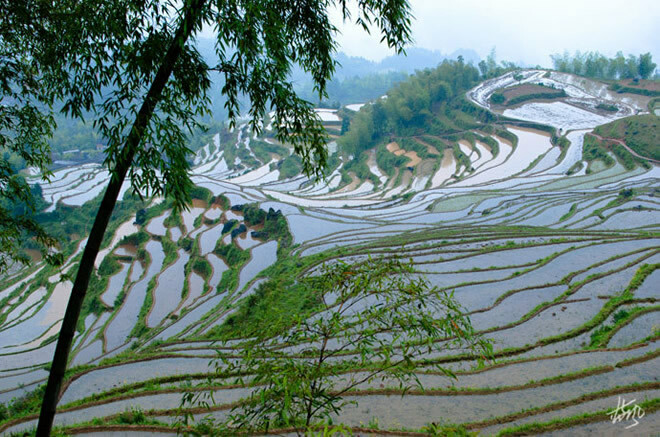 Meiyuan Terraces is also known as Yunhe Terraces，because it is located in Chongtou Town, Yunhe County, Zhejiang Province. 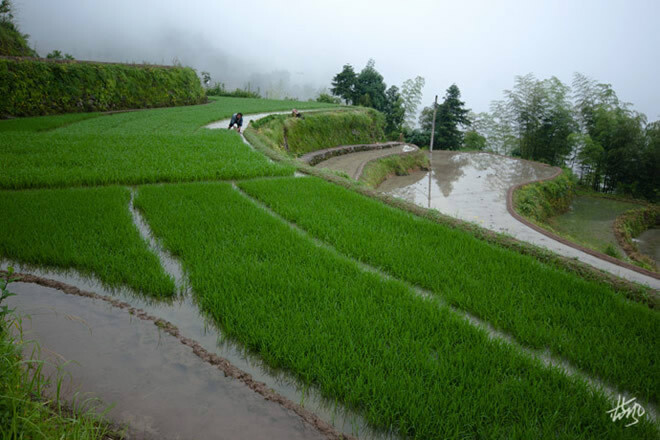 The scenic area is five kilometers away from the town government, and 20 kilometers from the county government, with convenient transportation and easy to enter into the area. 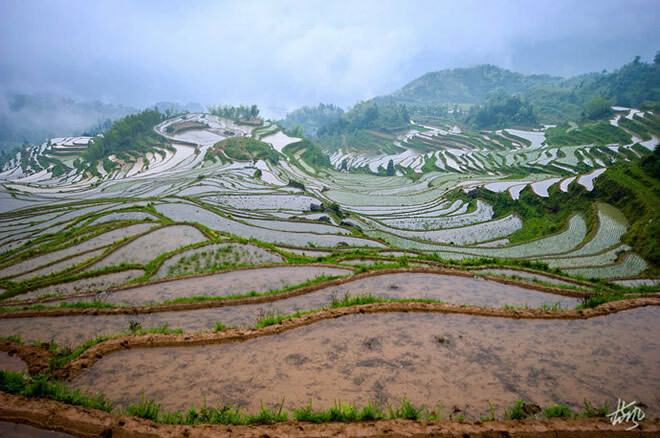 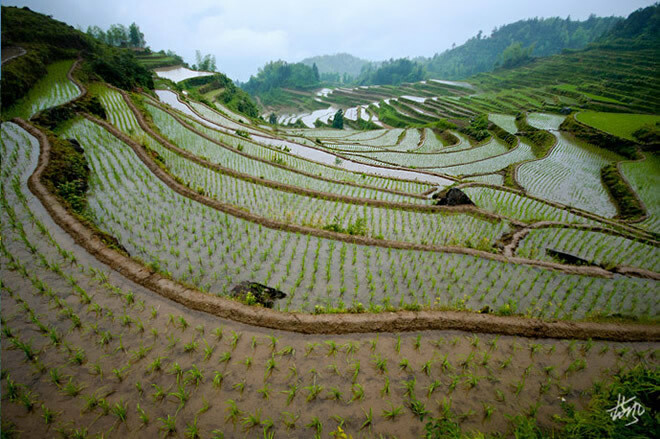 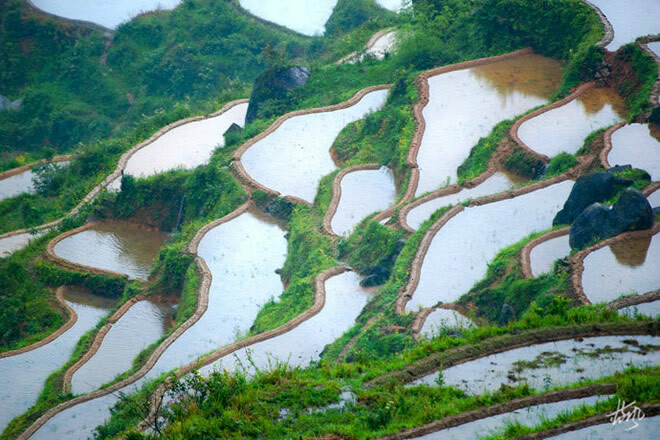 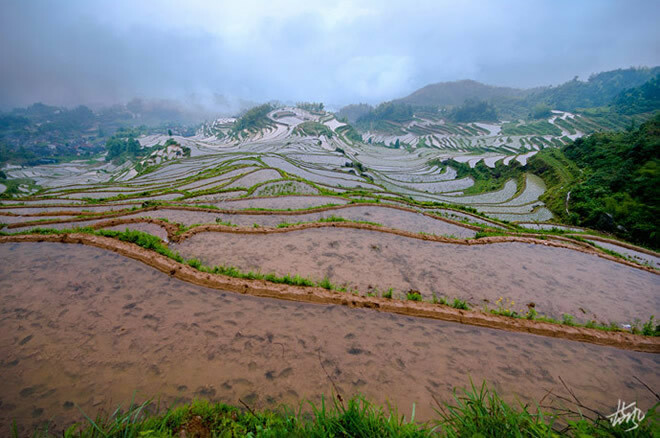 It is a large-scale of terraced fields group, a natural attraction. 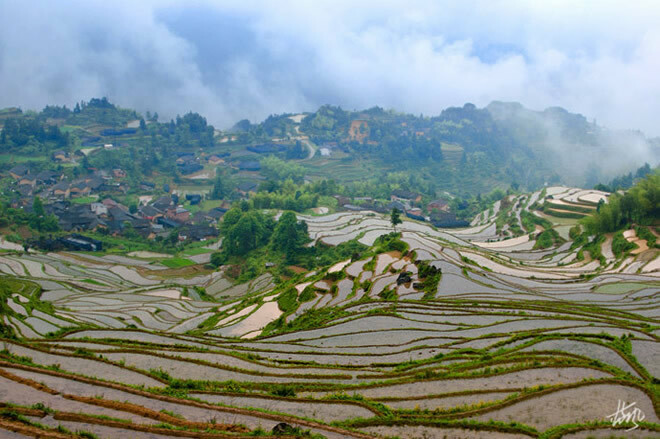 Span of 200 m -1400 m above sea level, the vertical height of 12 meters, across mountains, hills, and valleys three geological landscape, 700 multi-layers, with the characteristics of mass body, shocking and unique landscape of the four seasons. 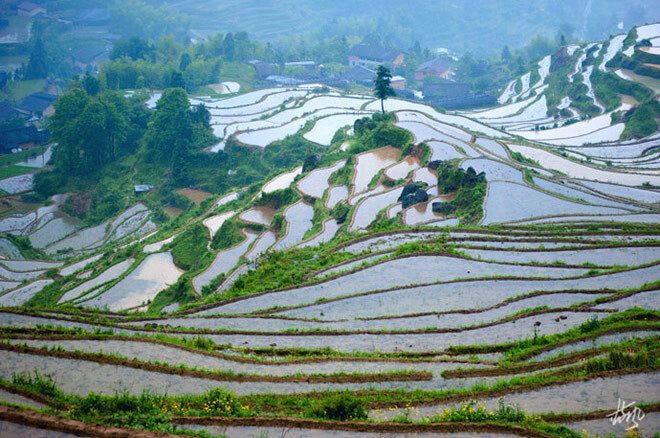 It is the largest terraced group in eastern China, and also known as China's most beautiful terraces. 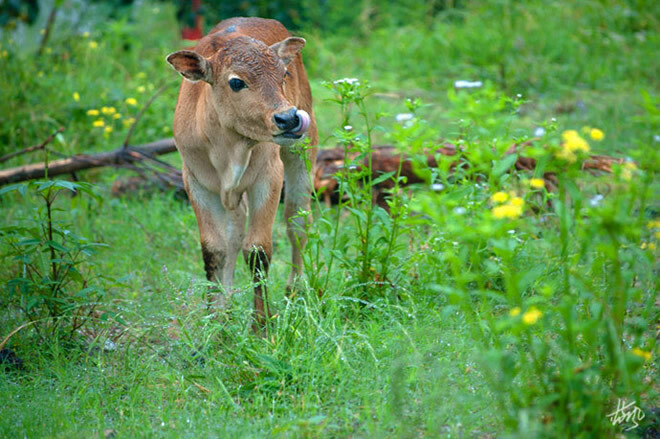 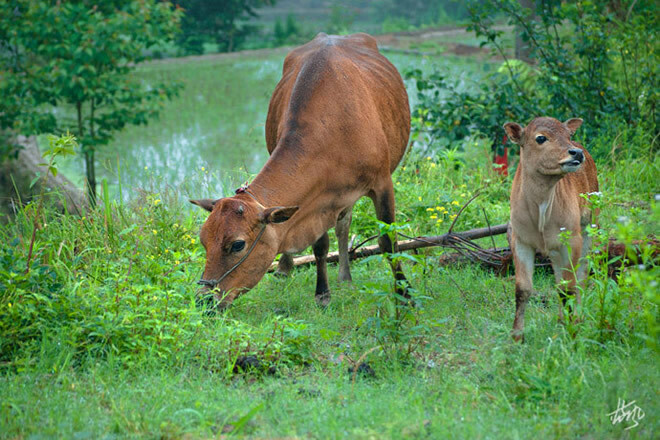 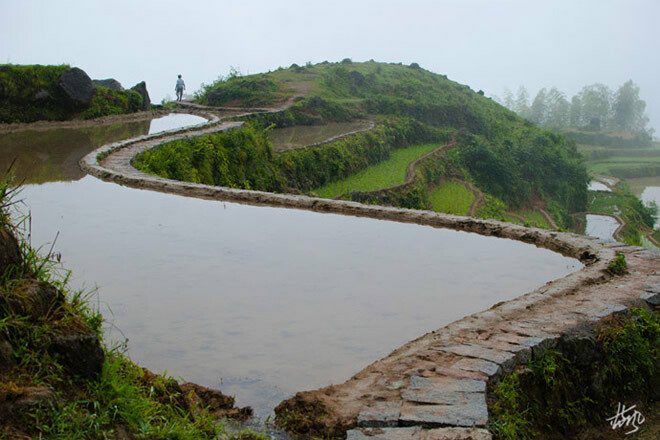 The scenic spot has gurgling streams, developed water system, adequate water, and sweet water. 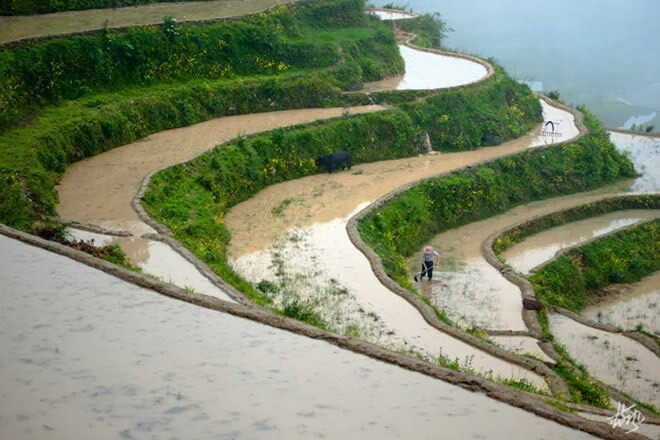 Streams import into Chongtou River from top to bottom. 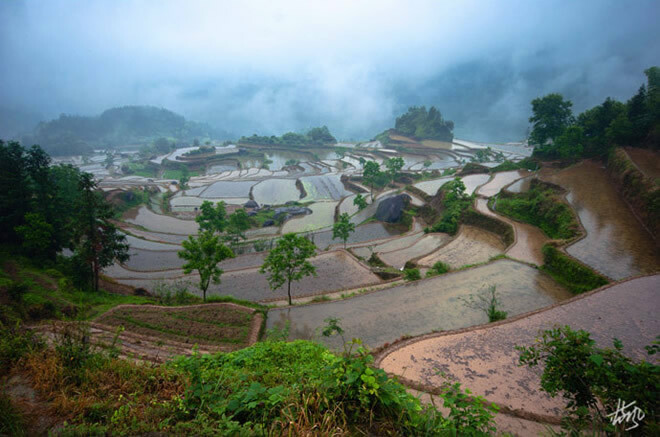 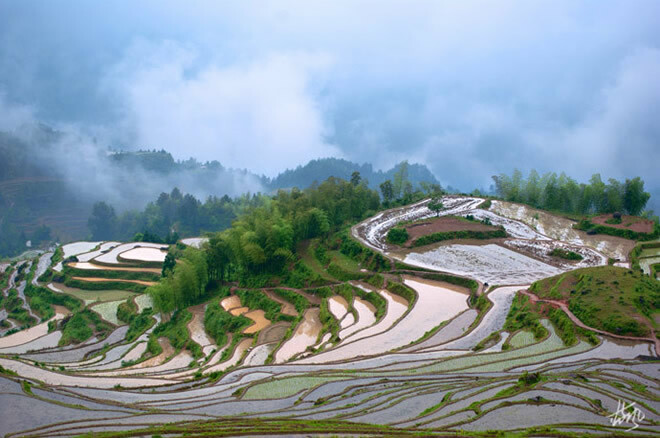 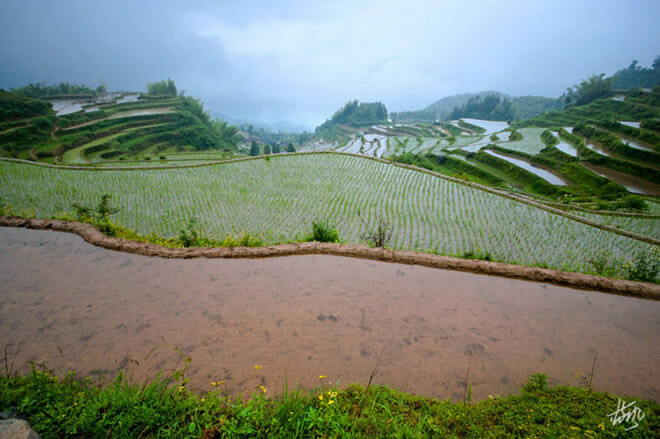 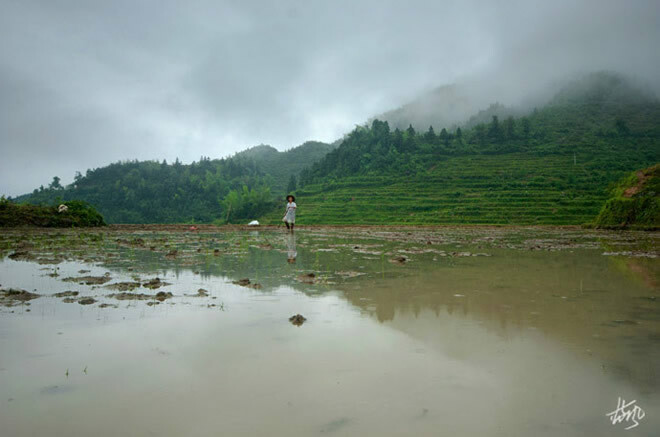 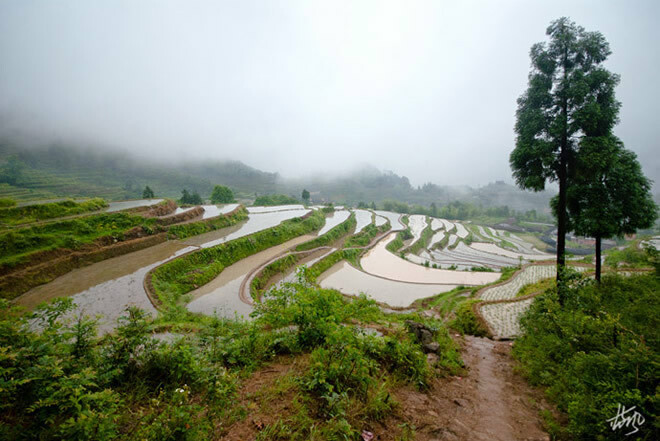 Yunhe Terraces is at higher elevations, so the water in the fields and river valleys evaporate and form into sea of clouds by the affect of airflow. 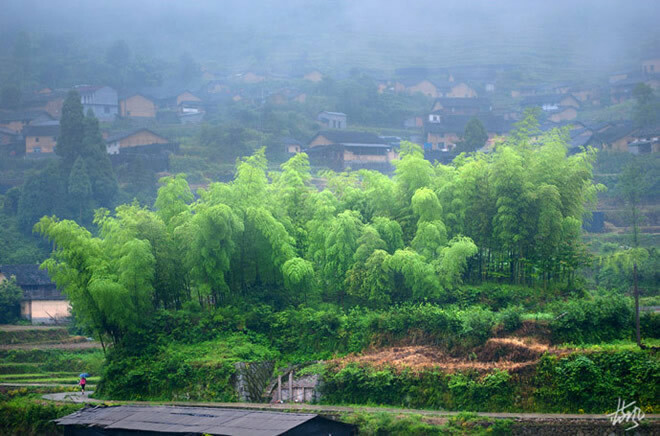 So the cloud is the highlights of Yunhe terraced fields. 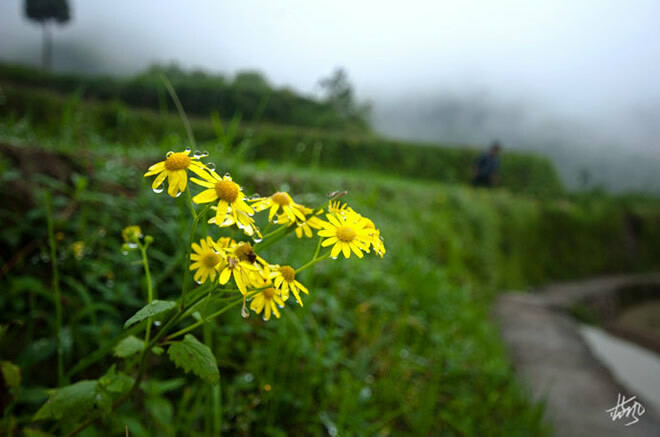 Photographers can take the pictures on the road, but in fact, Wuping Village and Xiayang Village are the main shooting places. 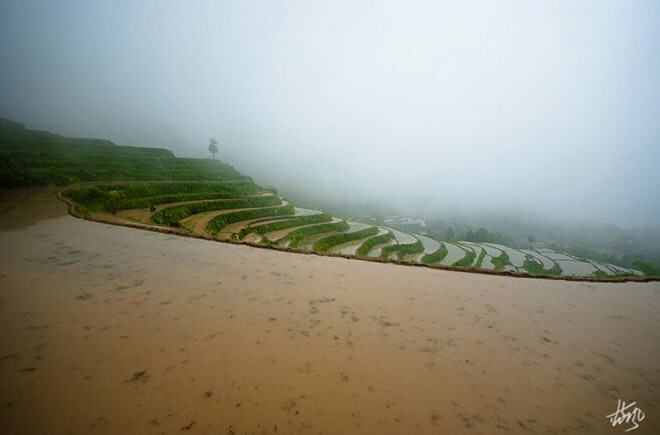 Rainy weather, there was no sunshine, and could not shoot the stunning lighting effects. 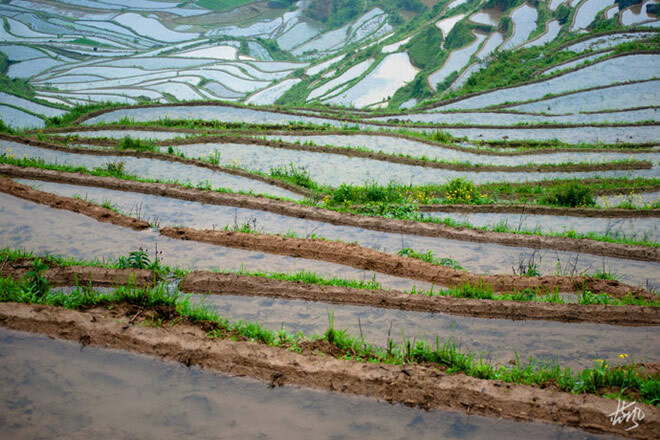 Meiyuan Terraces changes with the mountain terrain, some pieces are large at the gentle slope, while some pieces are small at the steep slope, even under the rock crevices are terraces, and the larger ones have several acres, and the small ones are just like dustpan, constituting the vagaries of the art symphony, as line of poetry on the earth. 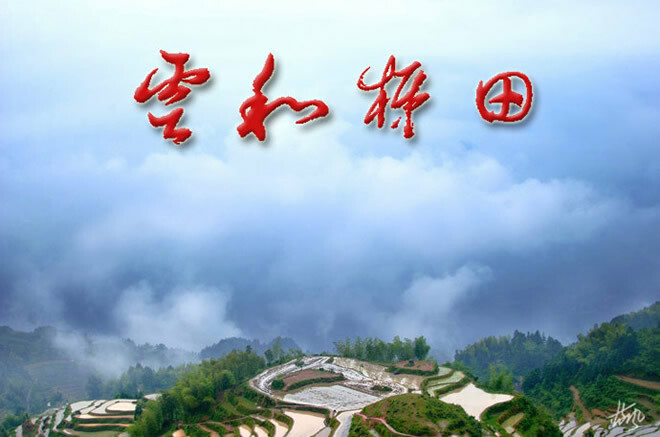 Lishui Jiushan is the territory of high mountain ranges, much mountains, and little plain. 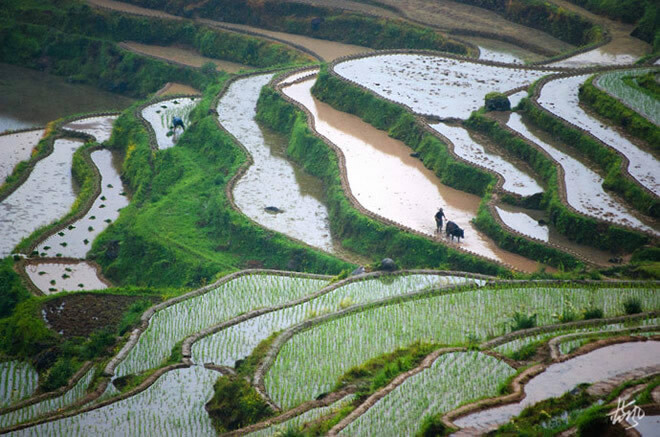 It has been mainly based on agriculture, and agriculture is relying on arable land, of which the terraces are the lifeblood. 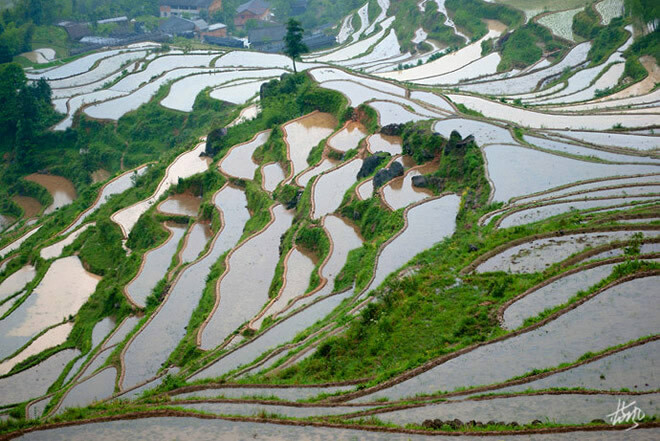 The Meiyuan Terraces is the most beautiful one among all of the Lishui terraces, large-scale, and magnificent. 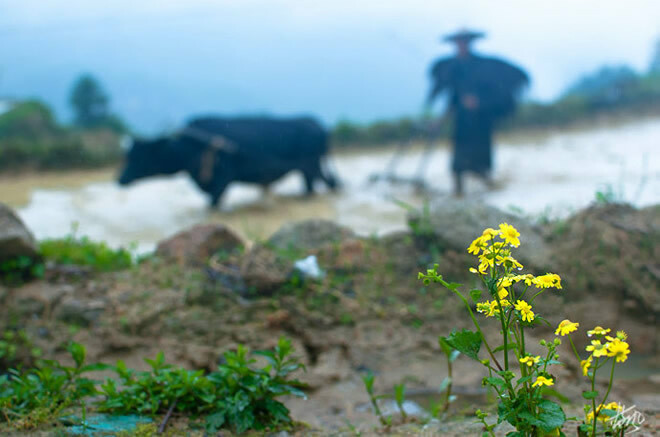 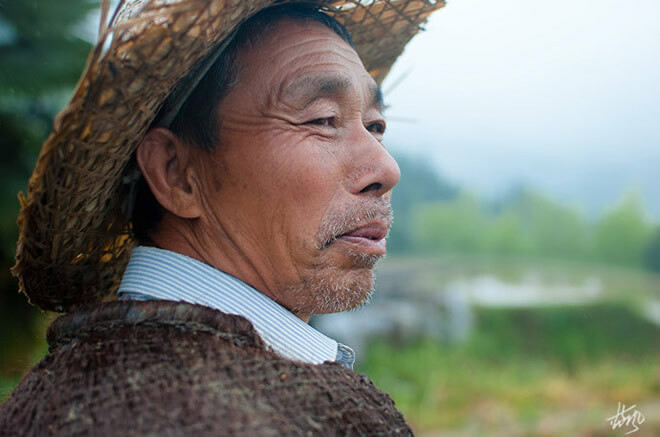 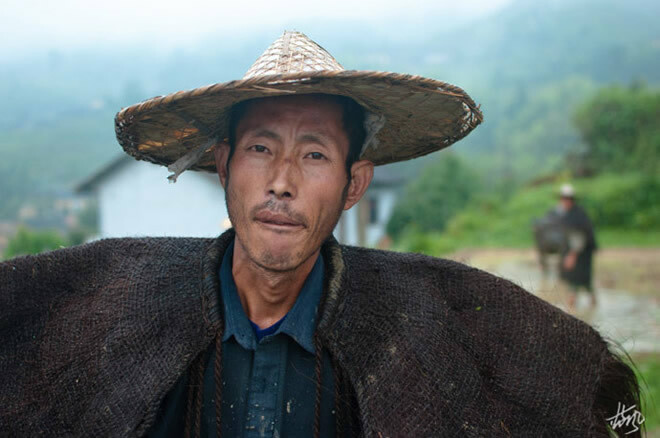 Here is the Xiayang Village, such rain hat and hemp fiber dressing has already rarely seen in other places in nowadays. 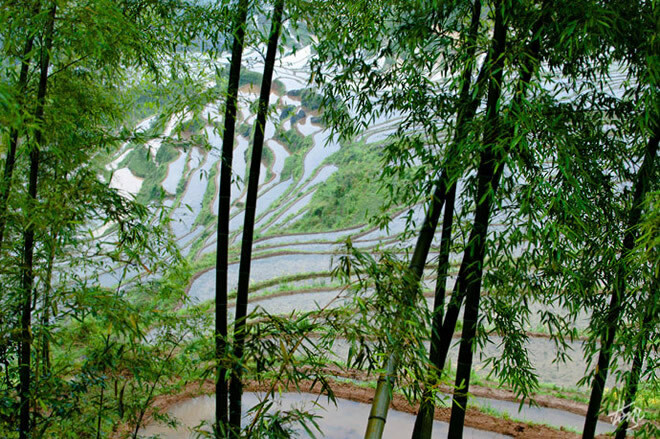 This picture is shot on the viewing platform, where is the typical places of Meiyuan Terraces. 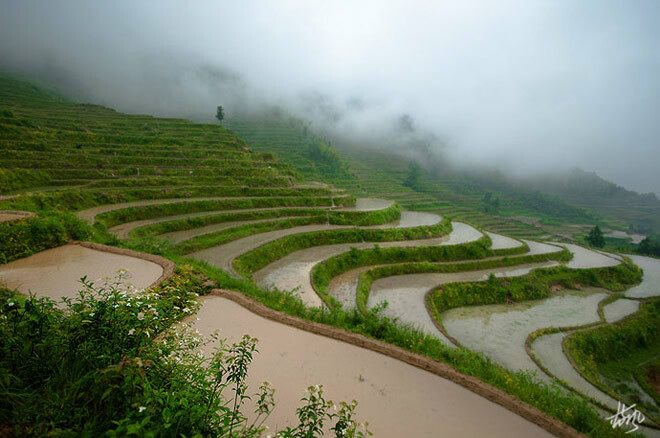 Majestic atmosphere is harmony with the delicate points and lines, the water in the terraces and river evaporates into clouds. 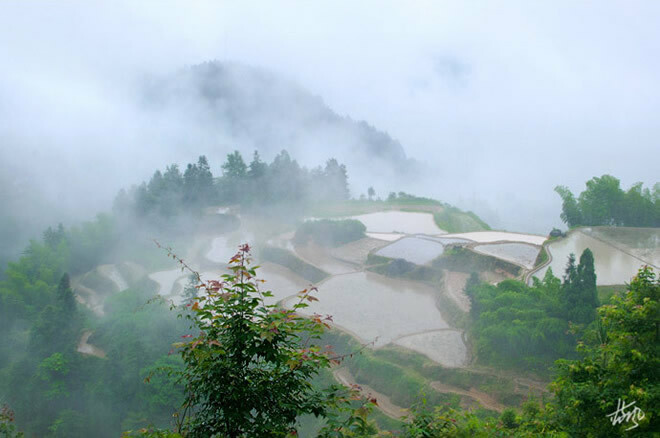 Mountains are often shrouded with white clouds, forming the vagaries of the natural picture.